House 208 in the town of Metajna, Pag - Kvarner has accommodation units of type Apartment (1), Studio flat (2) and is 250 m away from the sea. The nearest beach to this accommodation is a sand beach. As the house is divided into several accommodation units, other guests will most likely be present during your stay. The hosts will be in residence during your holiday. The house owner is under no obligation to accept additional persons and pets that were not stated in the reservation request and it is necessary to report them in advance. Studio flat can accommodate 4 guests. Beds are situated in 1 sleeping rooms, within 21m2. Guests can enjoy a sea view from the private terrace. Food can be prepared using barbecue which is shared with other guests too. This accommodation unit welcomes pets at an additional charge. 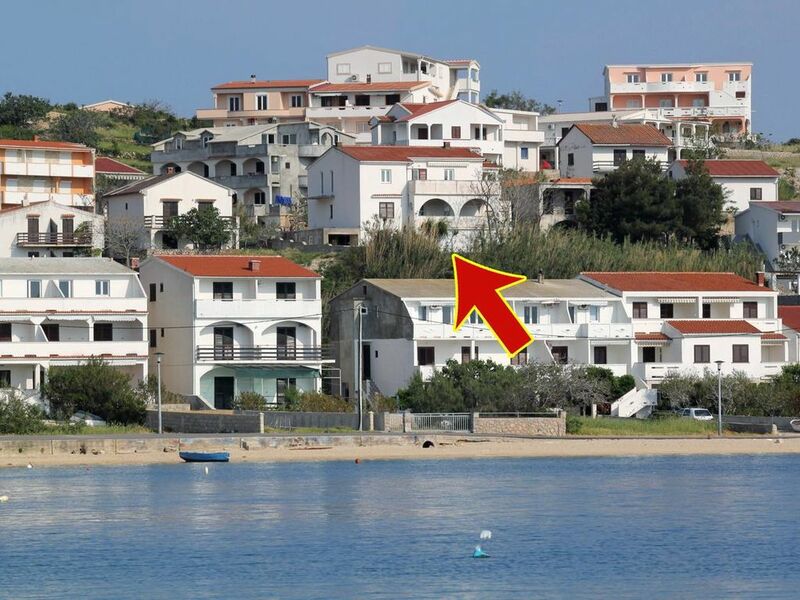 INCLUDED IN THE PRICE: tourist tax, final cleaning, air-conditioning, parking, internet, boat mooring. Zelo lepo urejen apartma, prijazna lastnica, v neposredni blizini vse, kar potrebujemo. Priporocam! Bardzo fajne miejsce na spędzenie urlopu. Apartament w dobrej lokalizacji, wygodny i przestrzenny dla 2 osób. Powyżej 2 osób będzie ciasno choć są 4 miejsca do spania. Sprawa wi-fi - sygnał słaby, internet wbrew deklaracjom na stronie, praktycznie nie istnieje. Klima sprawna i daje radę . Ogólnie polecam ale dla 2 osób.